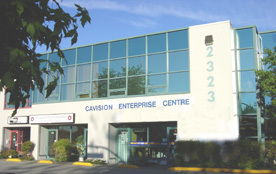 Cavision Enterprises Ltd. is a privately held corporation, incorporated under the laws of British Columbia, Canada. Cavision was founded in January 1993. Cavision designs and manufactures a wide variety of accessories for professional cameras, including wide angle attachment lenses for TV cameras, director’s viewfinders, 3x3" & 4x4" matte boxes, glass and resin filters, and carbon fiber boom poles. As a manufacturer, Cavision offers high quality accessories at affordable prices. 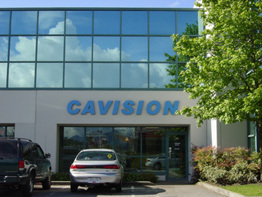 Cavision is currently working on establishing new dealers in our North American and International markets. If you are an established professional camera reseller, and interested in becoming a dealer for our products, please complete our dealer application form, and send it to us. Upon approval, we will add you to our national or international dealer network. Cavision is not currently looking to fill any positions at this time, however, we are always on the lookout for skilled people that could fit in with our friendly and professional team. If you are interested in sending us your resume, please use the fax or email address below. Note: Cavision will keep your resume on file for 6 months. Please do not send your resume more than once. If we are looking to fill a position, a member of our HR Department will contact you for an interview.